In commemoration of World AIDS Day, AIDS Healthcare Foundation (AHF), the world’s largest, non-profit HIV/AIDS service organization has partnered with the Debbie Allen Dance Academy (DADA), to host “Keeping the Promise – 1,000,000 Lives in Care: Celebrating Icons of Dance,” a free, star-studded event taking place at the historic Apollo Theater on Friday, November 30th. “As AHF continues its global mission to provide cutting-edge medical care to those living with HIV and AIDS regardless of their ability to pay, the World AIDS Day event at the Apollo will recognize a momentous milestone for AHF: as of a few weeks ago, we now have over one million lives in care!,” said Michael Weinstein, President of AHF. "As part of the evening, we are also honored to recognize and celebrate the exemplary work of icon, Debbie Allen, who throughout her career has been a strong and steadfast voice in the fight against HIV and AIDS. Ms. Allen will be presented AHF’s 2018 Lifetime Achievement Award, which the organization has only previously presented only once – to the legendary artist, humanitarian and activist, Harry Belafonte." 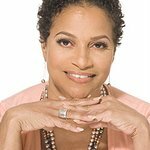 Once again utilizing the arts to commemorate World AIDS Day, AHF has partnered with the Los-Angeles-based Debbie Allen Dance Academy, to present a powerful evening of dance and pay tribute to the icons of dance. The evening will include presentations by an array of cultural icons, including Maurice Hines, George Faison, Phylicia Rashad and prima ballerina, Misty Copeland. The line-up of performances is a who’s-who in dance, including Philadanco, The Syncopated Ladies, Debbie Allen Dance Academy, Ailey II, Jason Samuels Smith and The Dance Theatre of Harlem. Previously a music-focused event, prior ‘Keep the Promise’ World AIDS Day events have included an array of award-winning artists including Mariah Carey, Patti LaBelle, Common and Sheila E.
The powerful evening celebrating the icons of dance will also include tributes to dance legends that have died due to AIDS related complications, including Ulysses Dove, Michael Peters, Gene Anthony Ray, Michael Bennett, Rudolph Nuryev and Alvin Ailey. A special tribute will also be given to legendary dancer/choreographer and co-founder of The Dance Theater of Harlem, Arthur Mitchell, for his leadership in civil rights, through the genre of dance. This annual World AIDS Day event, being presented in New York for the first time, will not only be an amazing evening of cultural experiences, but will also serve as an opportunity to recognize the advancements that have been achieved in the fight against HIV/AIDS, and the work that is still to be done in continuing to eradicate this devastating epidemic. Free, rapid, 1-minute HIV testing will also be provided during the event. For more event information, please visit www.ahf.org/WAD.